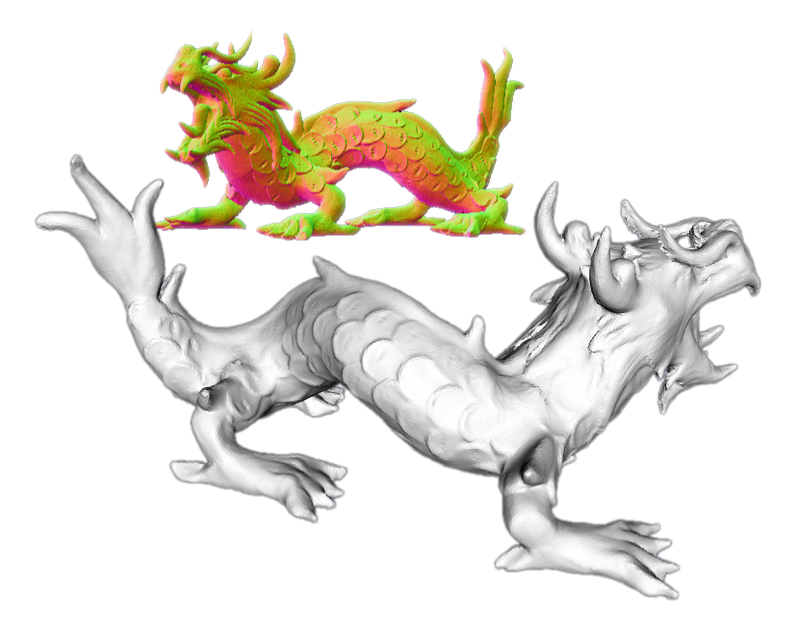 This project proposes a variational multi-view stereo vision method based on meshes for recovering 3D scenes (shape and radiance) from images. Our method is based on generative models and minimizes the reprojection error -- difference between the observed images and the images synthesized from the reconstruction. Our contributions are twofold. 1- For the first time, we rigorously compute the gradient of the reprojection error for non smooth surfaces defined by discrete triangular meshes. The gradient correctly takes into account the visibility changes that occur when a surface moves; this forces the contours generated by the reconstructed surface to perfectly match with the apparent contours in the input images. 2- We propose an original modification of the Lambertian model to take into account deviations from the constant brightness assumption without explicitly modelling the reflectance properties of the scene or other photometric phenomena involved by the camera model. Our method is thus able to recover the shape and the diffuse radiance of non Lambertian scenes. ORASIS'09 - Congrès des jeunes chercheurs en vision par ordinateur, 2009, Trégastel, France, France.